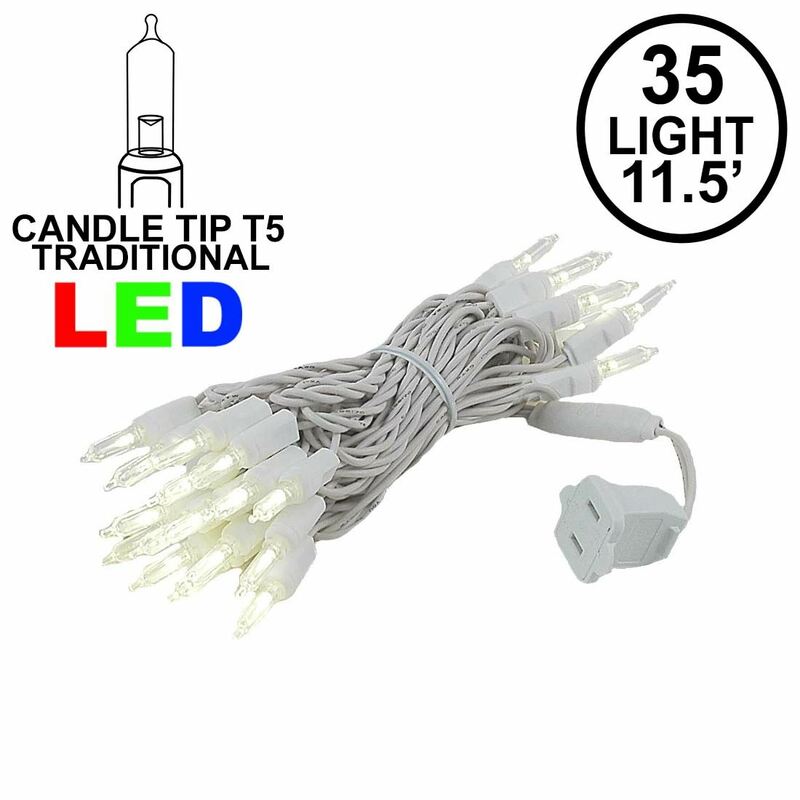 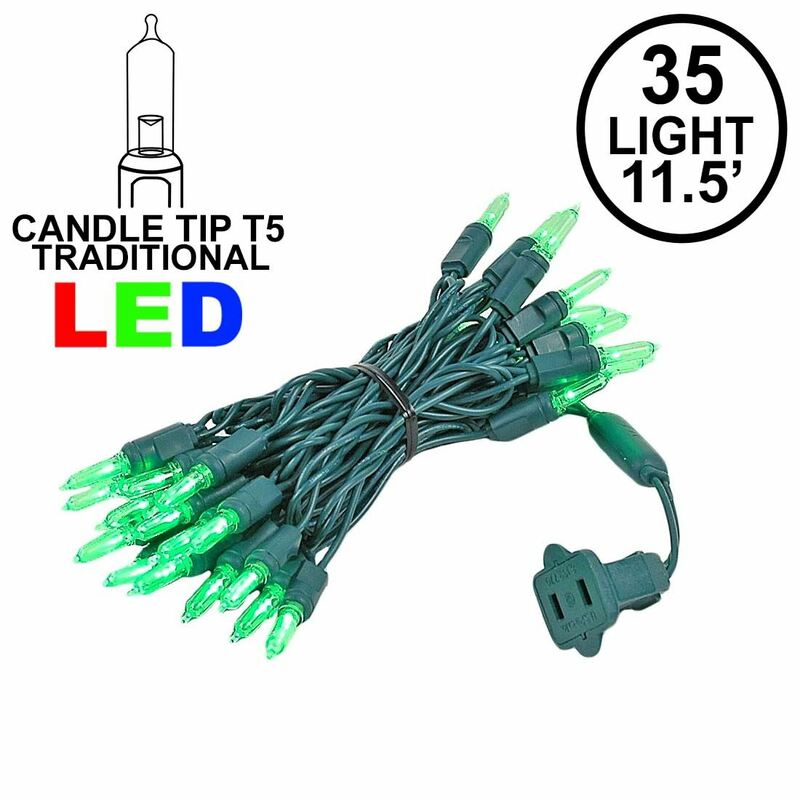 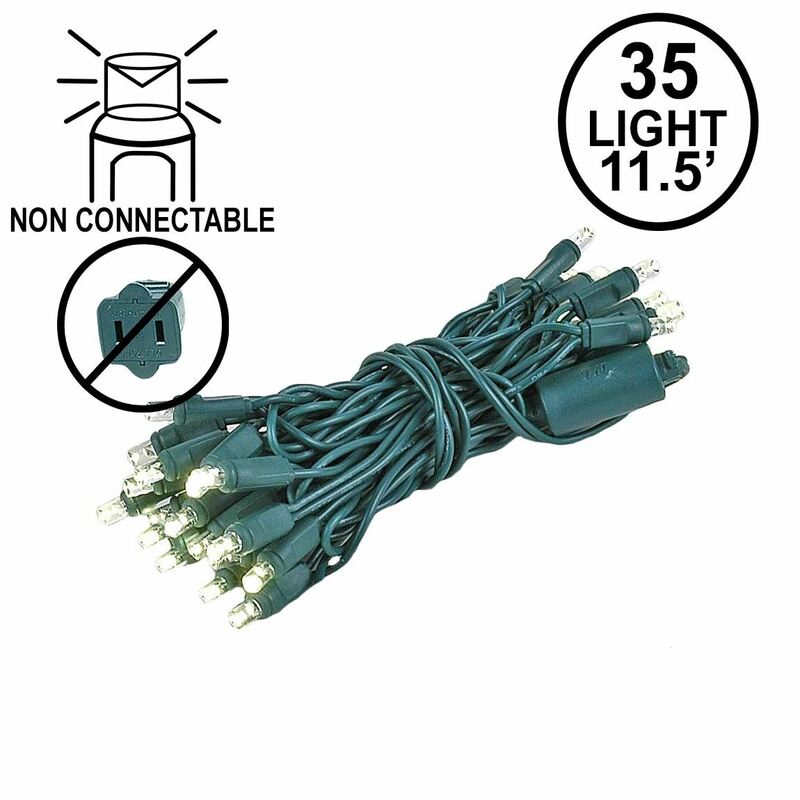 Traditional 35 light warm white LED Christmas light light on green wire with candle tip LED bulbs. 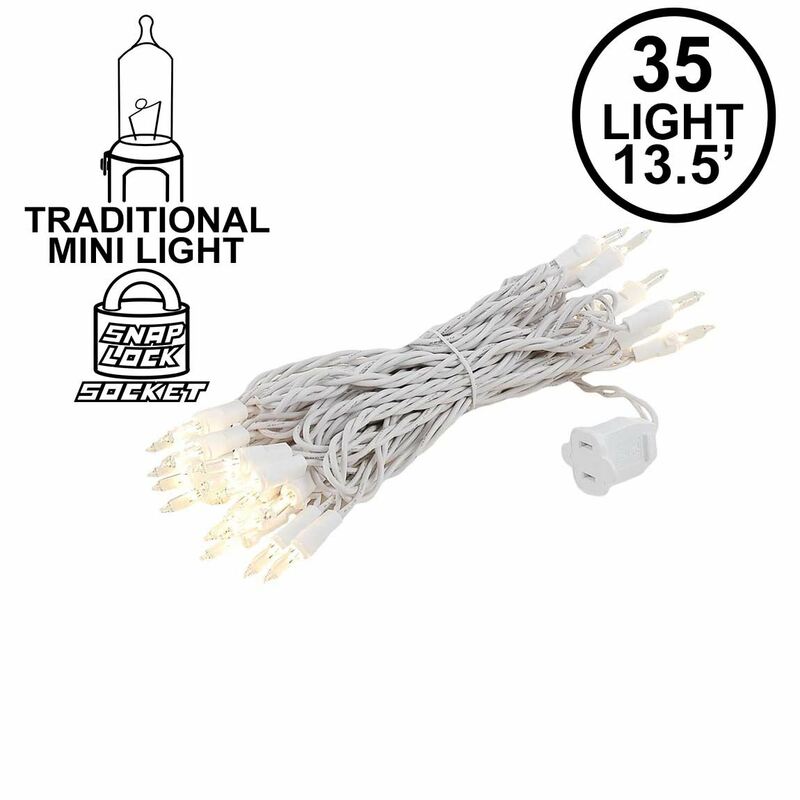 These traditional LED Christmas light have the same look and feel as standard incandescent mini lights because they have the same shape and brightness but they use long lasting and energy efficient LED's. 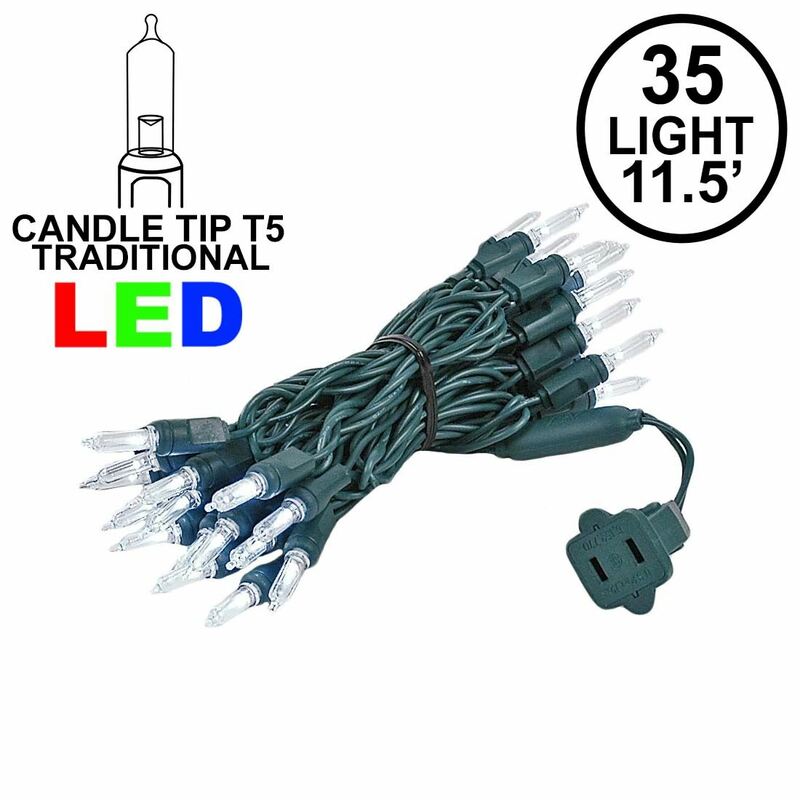 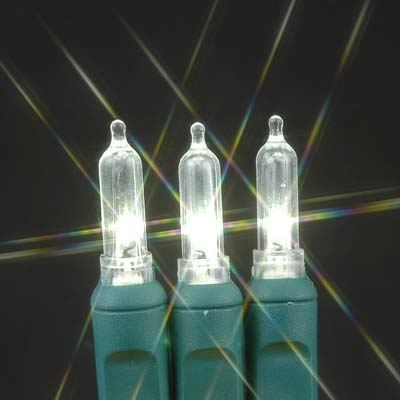 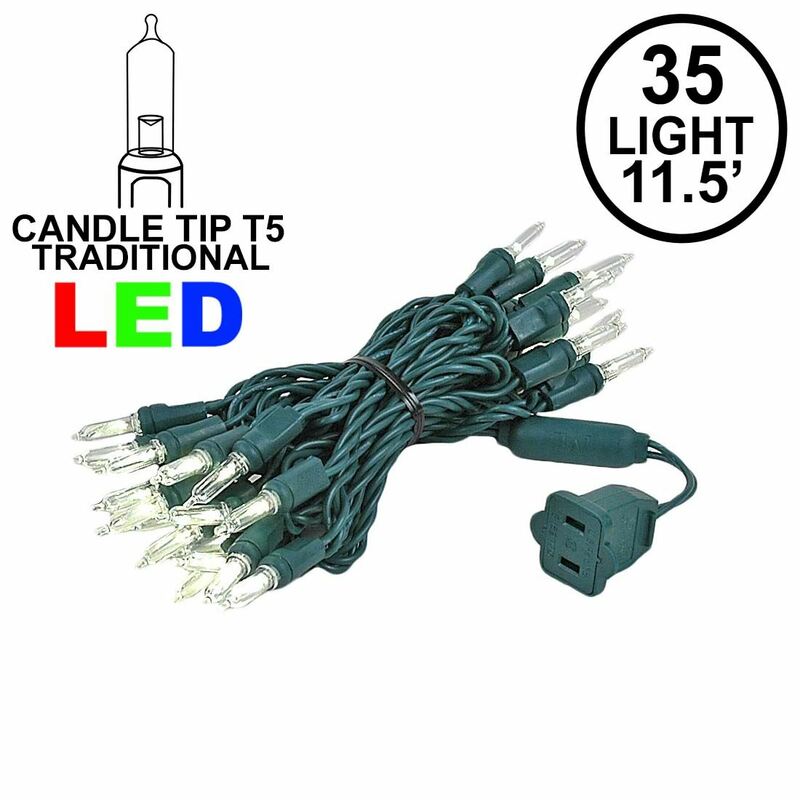 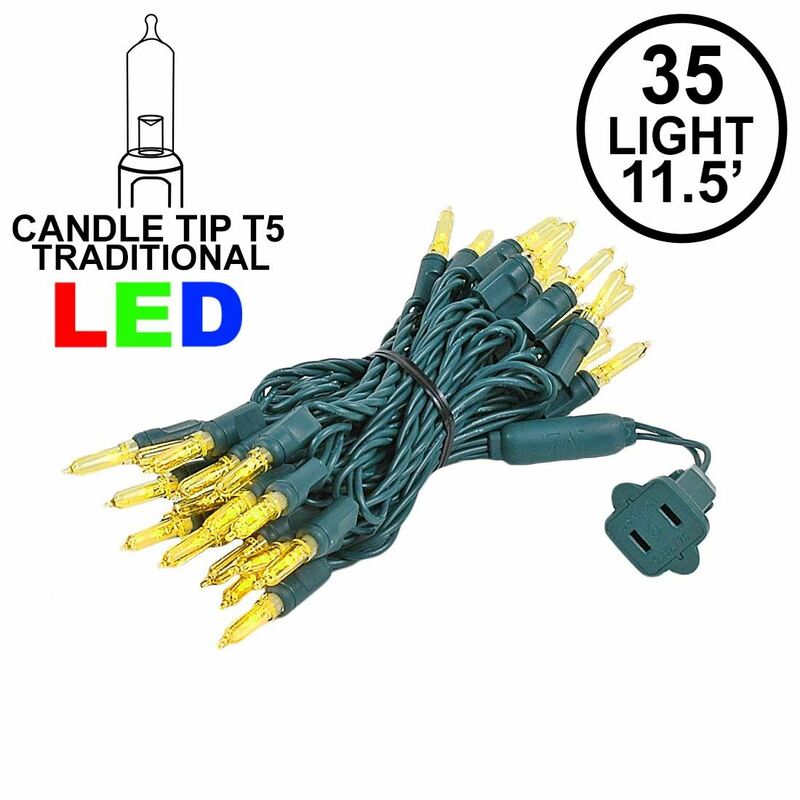 These long lasting LED Christmas lights are perfect for projects requiring shorter light sets with 4" bulb spacing. 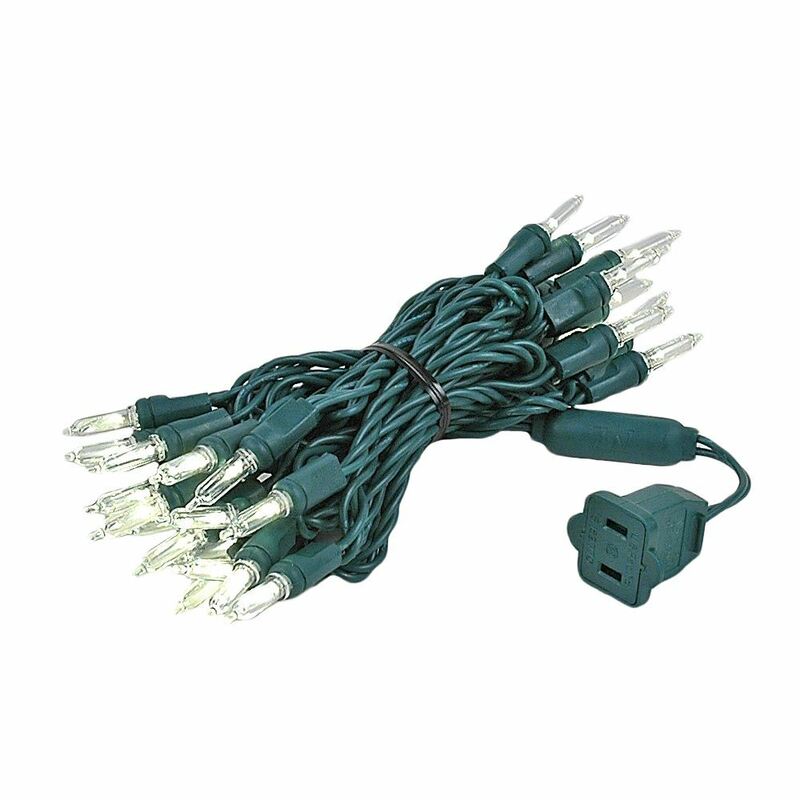 All our warm white Christmas lights are UL Listed for indoor and out door use.